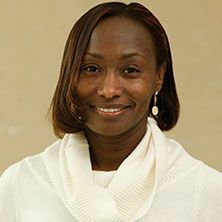 Dr. Simone Alexander of Seton Hall’s English department, researches primarily in the fields of Women, Gender & Sexuality Studies, Postcolonial Literature, Migration and Diaspora Studies. For her most recent book African Diasporic Women’s Narratives: Politics of Resistance, Survival and Citizenship (University of Florida Press) Dr. Alexander won the College Language Association Creative Scholarship Award, in 2015. Offering an in-depth study of literature, analyzing selective texts by the migrant writers Audre Lorde, Edwidge Danticat, Maryse Conde, and Grace Nichols, the book has been reprinted and the paperback edition will be available May 3, 2016 (read an excerpt here). Dr. Alexander took time out of her busy schedule to talk with us about her research. You research, publish and teach, and, you have received numerous awards and grants recognizing your work. How do you find time to balance all these activities? I don’t even know how! I go to bed even today at 2am, and I’m back up at 6, 6:30am. I love doing this, I love doing research, and I love when I can connect my research in the classroom. I feel as though I get this special adrenaline. It has not been easy. I’m raising kids—my kids are older now, so it’s a little easier—but there are times when you have to give up certain things. You can’t show up at some of your kids’ events, you just have to say “You know what, I just can’t do this today.” So I have to find ways and means, it has not been easy. Trying to juggle being a mom, being a wife, it’s a very difficult space to be in at times. I feel as though having a family, sometimes I’m at a disadvantage and I have to do more just to keep up. Because when you are in the academic space, no one cares what happens behind your closed doors, you have to produce. And I’m still kind of in that moment of “publish or perish”. In my earlier years I physically went to the library to use books. I checked them out, but then I hung on to some of the books beyond their due date. I didn’t like the fact that the library just gave it [the book] to you for two months! And I kept saying “Can you extend this to the end of the semester?” Quite often most of the books that I used I don’t think anyone else was using them. Recently, I love the fact that you can get everything electronically. You can also do interlibrary loan through PALCI, I’ve been using that a lot. When I’m doing research, for example on Toni Morrison, I get every piece of work that’s been done on her. I also love using ILLIAD. It’s so effective, you can submit a request today and by the following morning you get all of your articles. It has been a tremendous help. In the past, we had an option if the library did not carry some of the books that we wanted, we could put orders in. I haven’t done any recently, but I’ve supplied different lists [of books] to order. When I first came to campus the library didn’t have much on diaspora studies, transnationalism and migration, they were relatively new fields. So I helped bring in books to build the collection in these areas. Which library databases are your preferred starting places to begin when you are looking for current research articles? Always MLA Bibliography, it’s my thing. It has such a volume of different things. Even in my classes I tell students “Go to MLA, you can’t fail.” They give you everything, and then it directs you to JSTOR and everything else. Normally I’m considered (by students) to be very challenging—which I keep saying to students it’s not a bad thing, it’s good! I do not allow certain things to slip, I’m very particular when it comes to grammatical construction. Again, I would send students to MLA and I would walk them through and show them exactly how to find information—if they’re doing work on Nella Larsen for example. And back in the day visits from librarians were incorporated in the elementary English courses. On these designated “research days” librarians Tony Lee or Marta Deyrup was invited to show students how to use the library website for their research. Now I access the library website and show them everything, and I’ve been encouraging them to use ILLIAD. Get your research going way in advance so you can sit and read everything. Quite often students feel as though research is just about reading the first page—you have to read about 10 articles even though you may not use all of them. You have to have a very broad perspective of what it is you’re going to write on. And quite often secondary sources can give you ideas. You may go into a project not knowing; you may say “here’s what I want to work on” and once you’ve read something different it completely will change you, it can bolster your argument much more.